What was it with the fascination with the revolver? We've been so in love with the great Wild West that even as we continue to create better weapons, we still like to fall back to the gun that we have to reload individual bullets for. It just doesn't seem all that practical, does it? We didn't think so either, but who cares!? The cowboys used it to tame the west and that's so cool that we need to get one of our own! Well, we don't exactly need one of our own. We aren't going to head off and fight the bad guys with the real deal. 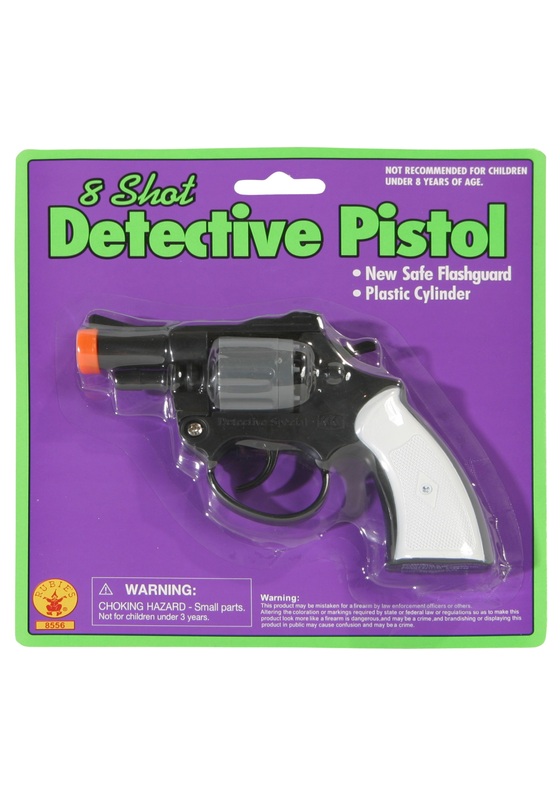 We'll just settle for a sweet cap gun that fires and makes the noises! All of those imaginary bandits and villainous gunslingers won't stand a chance when you show them how fast you draw, right? Just remember to grab some ammunition while you're at it. An empty gun won't make for much noise.